Many people think skin problems go hand-in-hand with radiation treatments for cancer. But that’s not always the case anymore. While skin reactions from radiation therapy are rarer now, some patients do experience skin that looks red, irritated, swollen, or sunburned. And after a few weeks, the affected area might become dry, flaky, or itchy. Still other patients have no reaction at all. Whether or not you’ll have a reaction depends on your skin type and the area in the body you’re being treated because the skin on some parts of the body is more sensitive to radiation treatments than others. There’s also a scientific reason why some radiation treatments are more likely to trigger changes to the skin. If you’re getting both chemotherapy and radiation, that can change the effect on your skin as well, Horwitz said. Don’t rub, scratch or scrub your skin. If the area needs to be covered, use paper tape. Try to put the tape outside the treatment area and in a different spot each time. Protect your skin from the sun. Your skin might be extra sensitive to sunlight. Wear dark-colored or UV-protective clothing. Talk to your care team about using sunscreen. Dress for comfort. Avoid stiff, rough, or tight clothes around the treatment area. Opt for soft, loose garments. And don’t starch your clothes. Be picky about skin care products. Mild soap and lukewarm water are your best bets for cleansing your skin. Your care team can recommend gentle products like lotion or deodorant. Check with them before using any product on the treated area, including medicines, perfumes, and cosmetics. Some may irritate your skin or even affect the dose of radiation you receive. Keep the temperature steady. Protect your skin from hot and cold temperatures. Avoid things like heating pads, heat lamps, and ice packs. Even hot water may hurt your skin. Talk to your care team about how your skin may be affected during radiation treatments. And if skin discomfort becomes an issue, ask about your options. 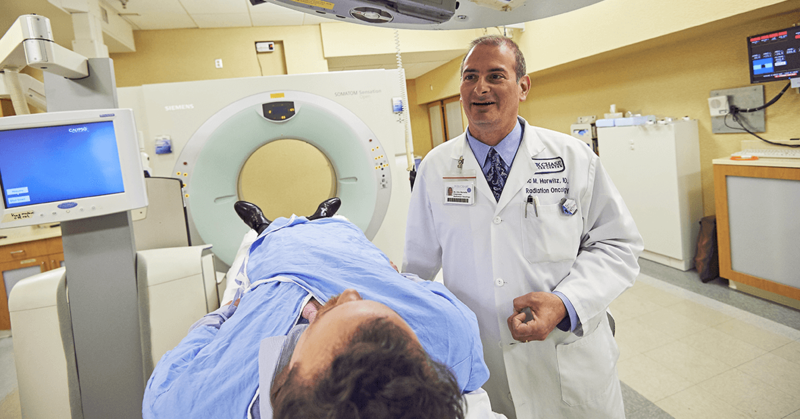 Learn more about the radiation oncology team at Fox Chase Cancer Center. What is a Dermatofibrosarcoma Protuberans (DFSP) and How is It Treated?